Meduza smashes to Number One in the Upfront Club Chart withe deep house smash “Piece Of Your Hear” and BLACK SAINT smash to Number One in the Mainstream Pop Chart with “Everybody Wants You”. 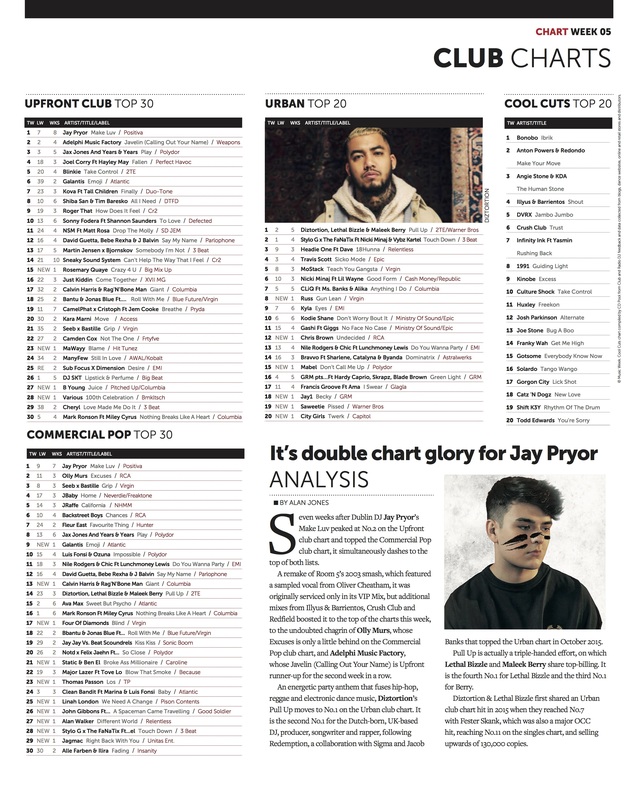 Meduza massive deep house smash “Piece Of Your Heart” rises to Number 2 in the Upfront Club Chart and BLACK SAINT rises to Number 2 with “Everybody Wants You”. Calvin Harris Rag’n’Bone Man reclaim Number One spots in the Upfront Club and Mainstream Pop Charts with the massive remixes by PurpleDiscoMachine Weiss Michael Calfan Laidback Luke Robin Schulz and Audien of the massive anthem “GIANT”. Jay Pryor “Make Luv” Smashes to Number One in the Music Week Upfront Club Chart and Number One in the Mainstream Pop Chart. Unless otherwise stated, content throughout this web site is © Copyright Power Promotion Ltd. 1999-2017 Power Promotions, Pro-Urban Promotions, Poparazzi Promotion, Videopops Promotion, Crunk! Promotions, Power Recording Studio, Holiday Pops Promotion, Deep Impact Promotions, Power Trippin’ Promotion, Power Plugging and the Power Promotions logo are all registered trade marks of Power Promotion Limited. All rights reserved.